A view of the interactive CITV. 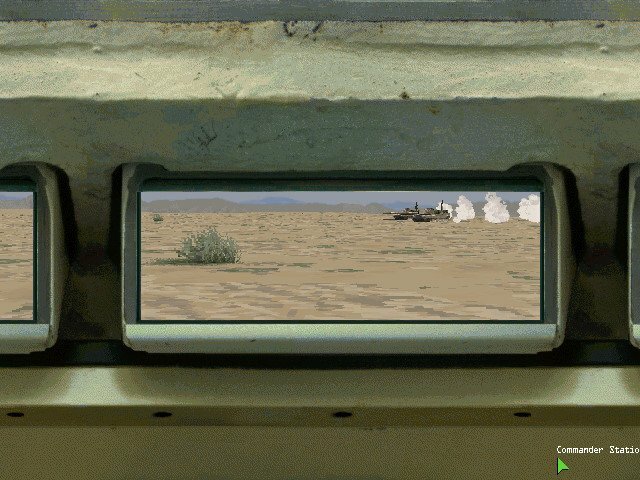 This tank sim shipped out way too soon. 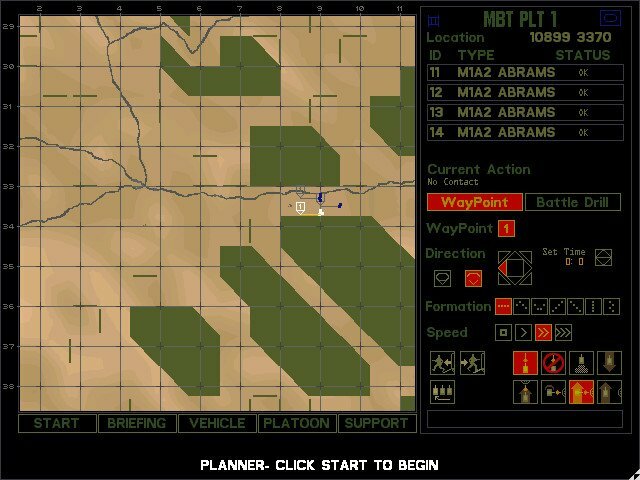 The original M1 Tank Platoon was king of all tank sims in its time, and by 1998 it was high time for a sequel. 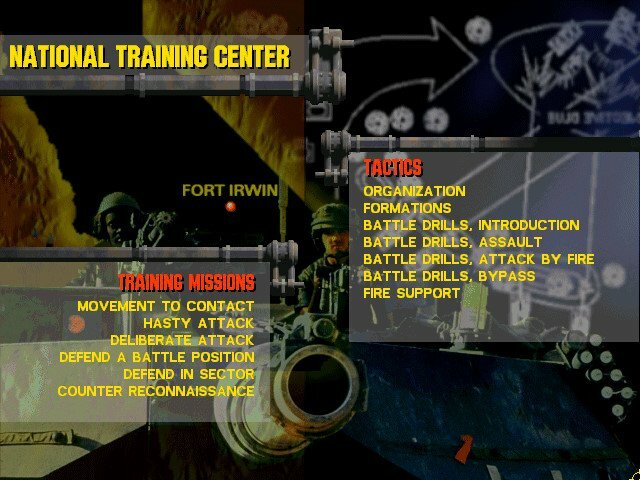 The game ships with five campaigns: Gulf War, North Africa, Far East, Moldavia, and a fictitious War World III scenario. 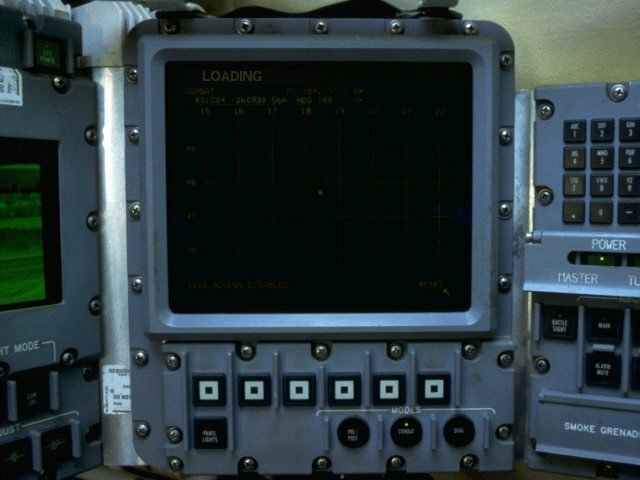 This is the one point of the game where you can choose difficulty settings. 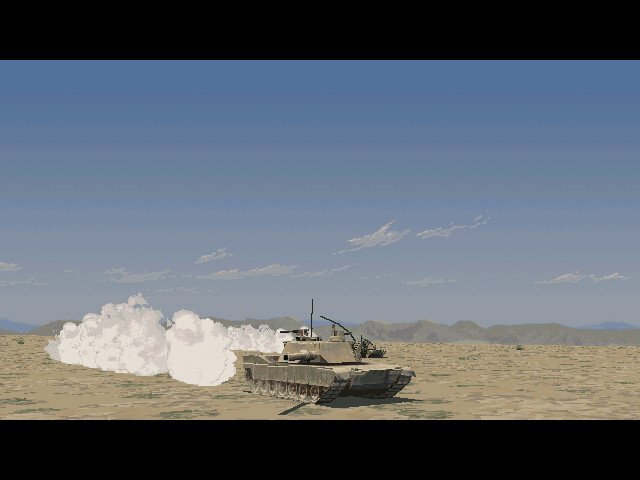 The shift from Easy to Normal is surprisingly steep, especially as the player’s technological advantage in the M1A2 is more than offset by several Hinds (plus ground forces that can be the size of a reinforced battalion). 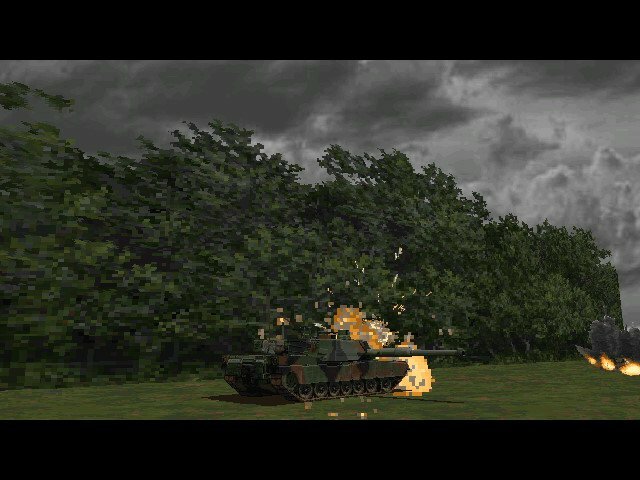 M1 Tank Platoon 2 is mostly stable, but it did crash a few times. Several features mentioned in the manual were scrapped, such as smoke shells from artillery and a binoculars view. Several of the keyboard shortcuts don’t work. Short of telling him not to fire at all, there’s no way to order the gunner not to use precious STAFF and MPAT rounds; he’ll often waste the important rounds (especially MPAT, particularly useful against airborne threats) on low-threat enemies. 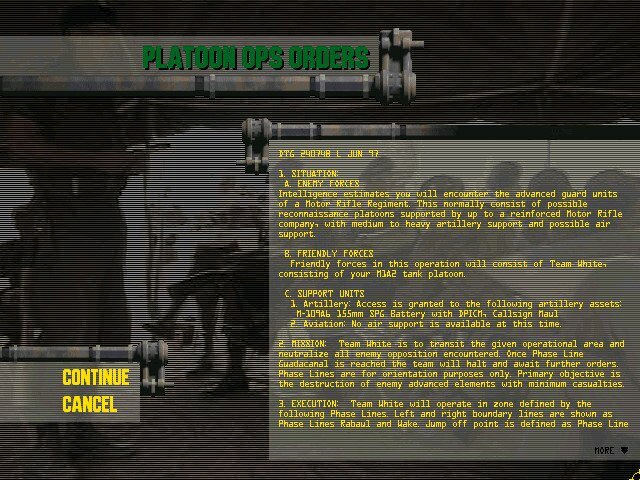 Some players complain that they can’t drive the tank directly, but you can issue pretty specific commands via the keyboard for this not be a problem. There are bigger problems as well. 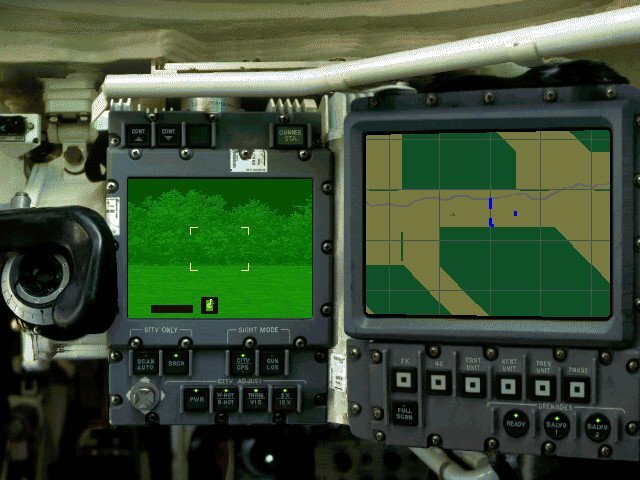 These include forest textures that don’t keep your personnel from seeing and engaging enemies through them and a fire control system that doesn’t automatically adjust for lead. 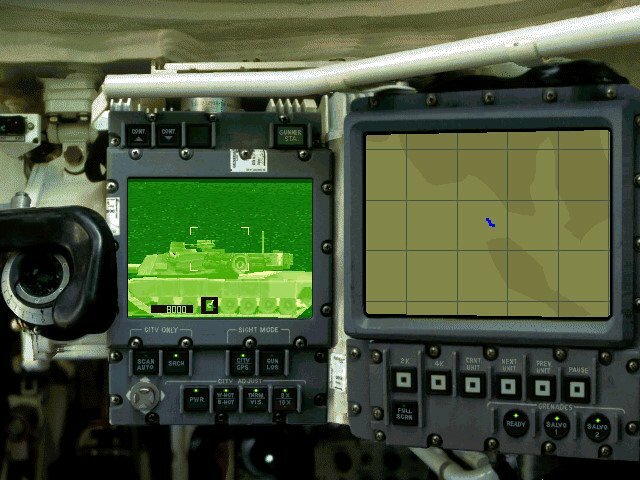 Perhaps the greatest problem—at least for those who were wanting a simulation of commanding a tank versus one that lets them do it all—is that the designation function of the Commander’s Independent Thermal Viewer (CITV) doesn’t seem to work; you can issue engagement orders to your heart’s content, but rarely if ever does the gunner seem to follow your orders. But despite these problems, the game is actually quite fun. 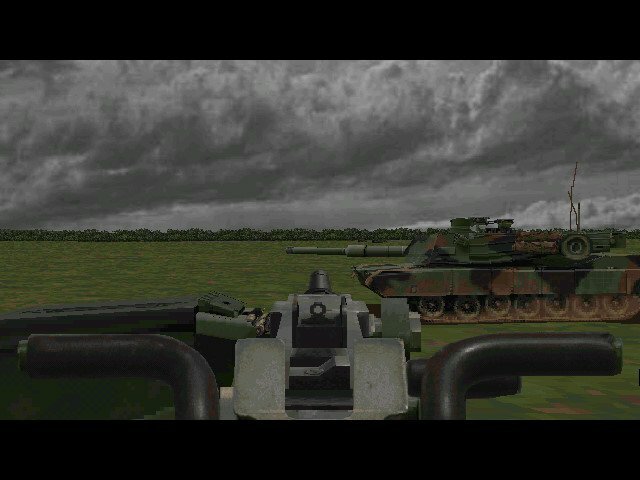 While M1 Tank Platoon 2 truly is faulty here and there, the designers had done a great job on parts of the game that they’ve actually completed. 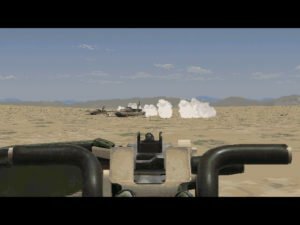 Such as the combined forces of sharp visuals, sounds, and explosive action creating the feel of a modern battlefield like no other tank sim has done before. Examples: hearing a main gun firing behind you in what you thought was a cleared area, only to realize that it’s merely ammunition in a tank you destroyed cooking off Or destroying an attack chopper with the .50 caliber machinegun. 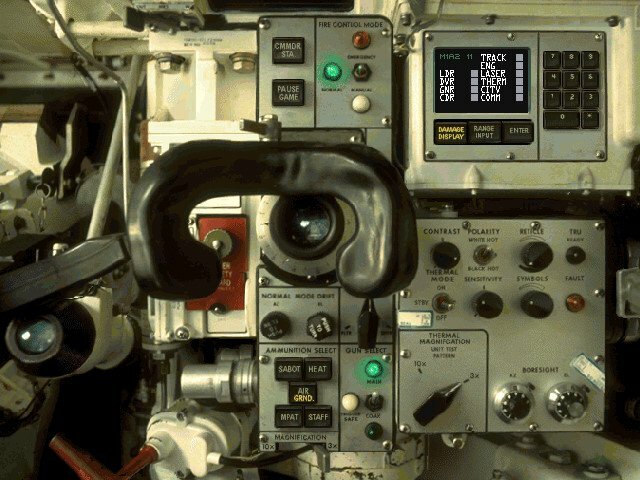 Gunnery can be a blast, whether it’s controlled from the gunner’s position or via CITV. The different rounds perform within realistic bounds. For example, SABOT rounds will pierce right through lightly armored targets, leading you to put several more rounds into something that’s already dead — an occurrence not at all uncommon in armored warfare. 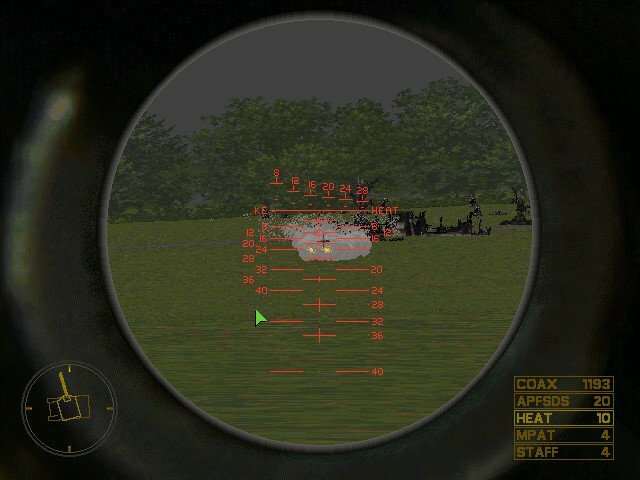 Even the visuals look right—a sabot bouncing off its plate sends up a shower of sparks, and the top-attack STAFF round looks just like Army footage of such rounds. 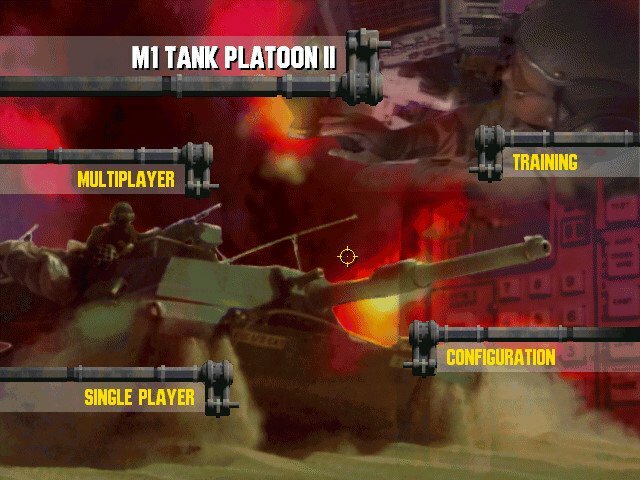 So M1 Tank Platoon 2 is somewhat of a letdown in some areas, but it does manage very well in others. 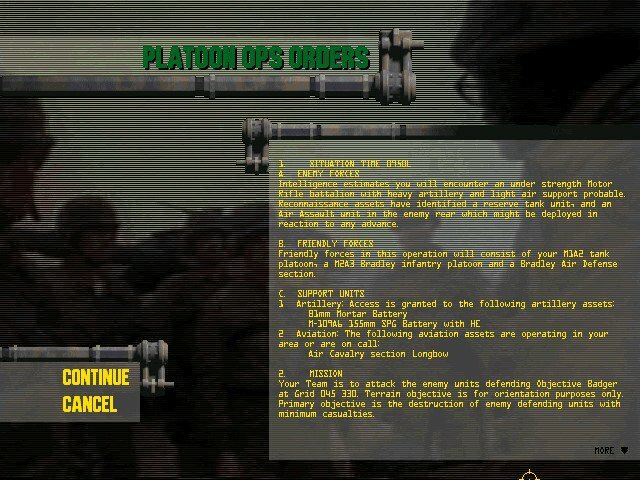 If MicroProse had enough time to work out the dents and ship a completed game it would have been so much more. 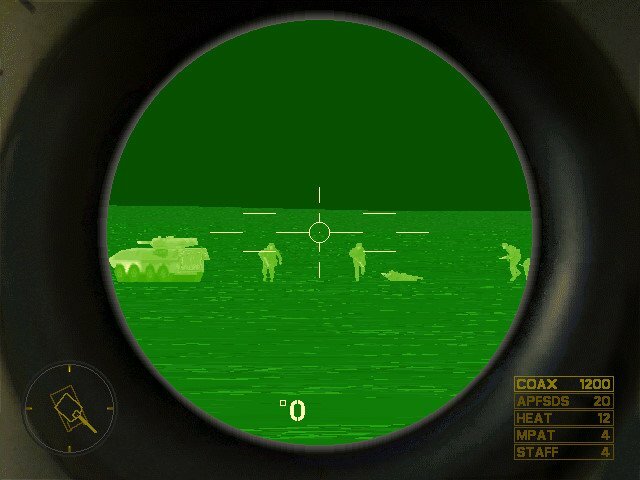 There is a patch for this game that improves some things such as view cues to allow the 50cal gunner to see which way he is oriented compared to the tank, it is a welcome patch. Great game if your just looking for FUN! 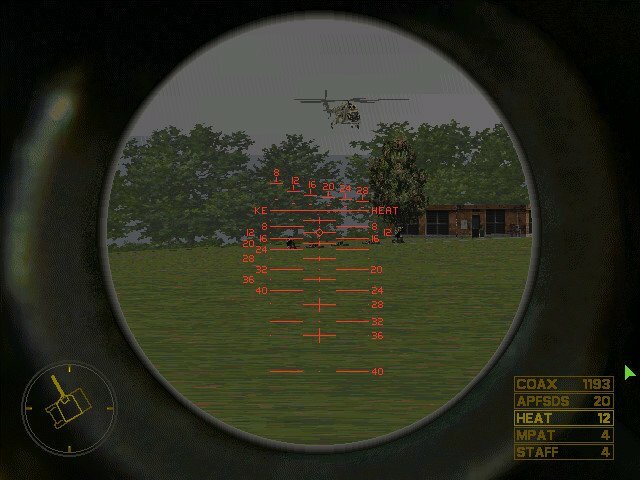 Actually the game does have a binoculars view and also there is smoke artillery, i have used it often when its available. 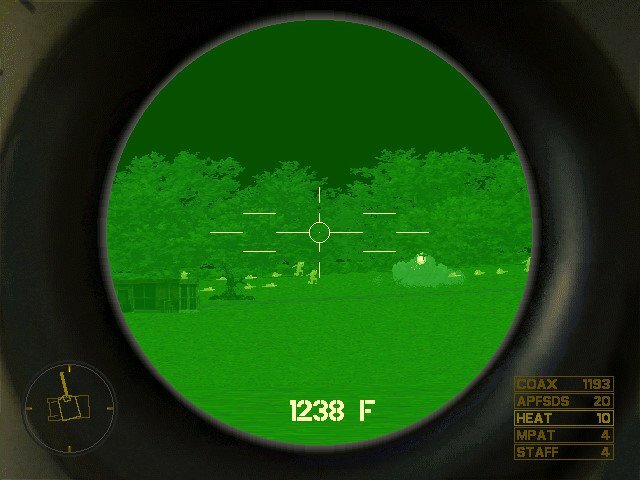 also the AI wont shoot throuh the forest blocks in the game, the hedgerows/singular treels they will though, which is not so bad, and can produce its own level of confusion if say the are firing from a hull down through tree line, which you wont be able to get a clear shot on if you can locate them.